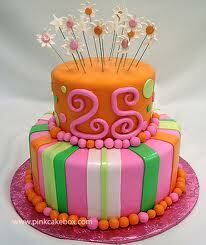 Many Birthday wishes going out to my youngest daughter, Kendyll, who turns 25 tomrrow! She will be celebrating in Africa this year, but we are all sending her lots of wishes for a great day!! We miss you! 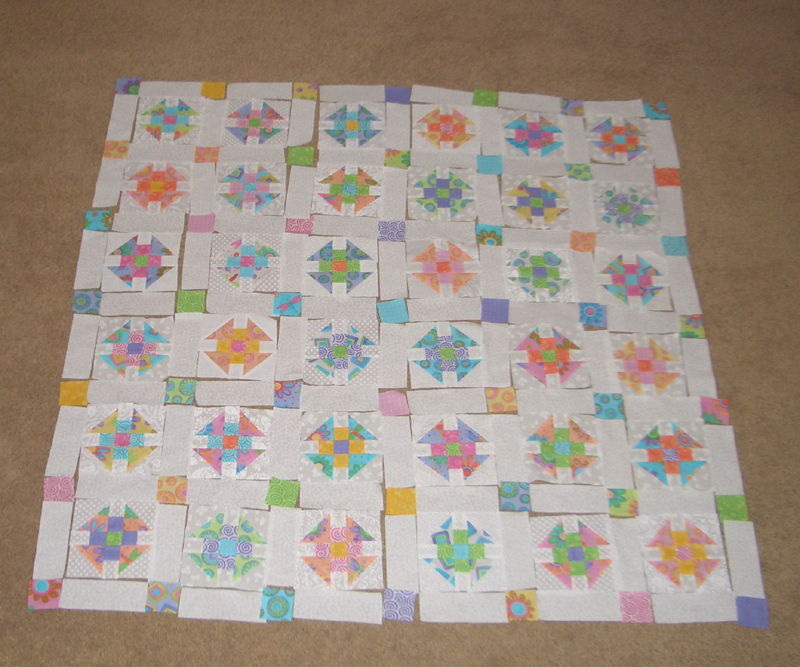 This week I am working on the Little Monkey Quilt. Have it all layed out and ready to stitch the rows together. Bordes are ready to go. 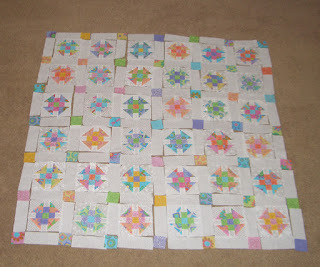 Hope to complete by the end of the week, if I can get some sewing time in. Also working on Dear Jane Blocks- have rows A-E complete and almost finished with row F. Check back later this week for pictures of progress.